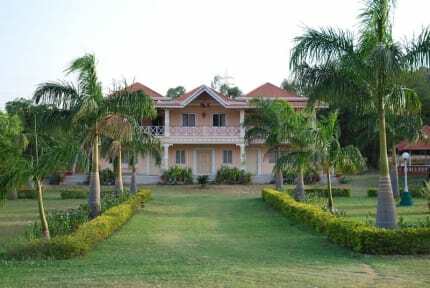 The resort spread over 8 acres of beautiful hills with a lake on one side and green paddy fields on the other offers splendid scenery and relaxation. Kishkinda offers an excellent range of accommodation with luxurious suites and ethnic cottages. The resort also features a Water Park. Kishkinda Heritage Resort has a range of accommodation suitable for visitors to Hampi. 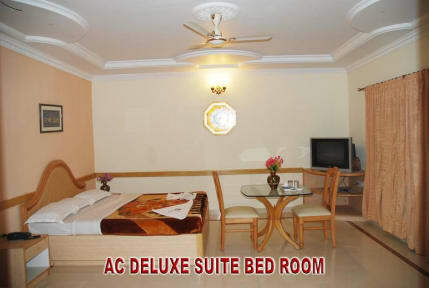 It features large air-conditioned deluxe suites as well as individual cottages. All rooms are well appointed with en-suite bathrooms and televisions. 4. Taxes are not included in the price. The guests need to pay extra 21% taxes upon check in.